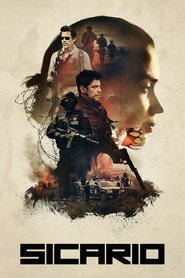 MY REVIEW: SICARIO is brilliant. The plot is complex and explore deep questions of ethics and morality that individuals have to confront when fighting evil - in this case, the evil of the drug trade. Is it ever morally justifiable to use immoral tools and strategies to fight something that is, itself, immoral? SICARIO doesn't really answer this question but confronts the viewer with it with a story that is multilayered. Emily Blunt is superb as the FBI agent who has to struggle with the disillusionment she experiences entering into a world she doesn't really know and which unravels her naivety and forces her to rethink her own moral worldview. Blunt's character is complex - with elements of strength and fragility that push up against each other in her very surprising role. The rest of the cast provide satisfying performances. The soundtrack is ominous and the cinematography raw and suspenseful. A totally engaging movie experience that relies on good storytelling rather than cheap attention-grabbing tricks.